Today was almost a complete free day. I decided I didn’t want to go on any excursions, I just wanted to hang out in the town. It was a good job as I woke up not feeling particularly well. So I had a nice slow start to the day after having breakfast and left the casa about 11am. I wandered the streets, people watching, went into shops, trawled the markets, spoke to people in Spanish, sat in the park, got water, checked the internet, nosed in casa’s and schools and just generally had a laid back time. I got back to the casa at 2pm in desperate need of some air conditioning after walking on cobbles up and downhill for the better part of 3 hours. When the other ladies arrived back, Carola and I went out in search of a tobacco factory as she has not yet seen one and when in Cuba…..
What we found was an actual working factory where women sat at little school desks with various manual tools. As soon as we were spotted at the window, we were being asked to buy cigars so it wasn’t long before we moved on. We had our Spanish class before a very tasty dinner and then the evening was ours again. 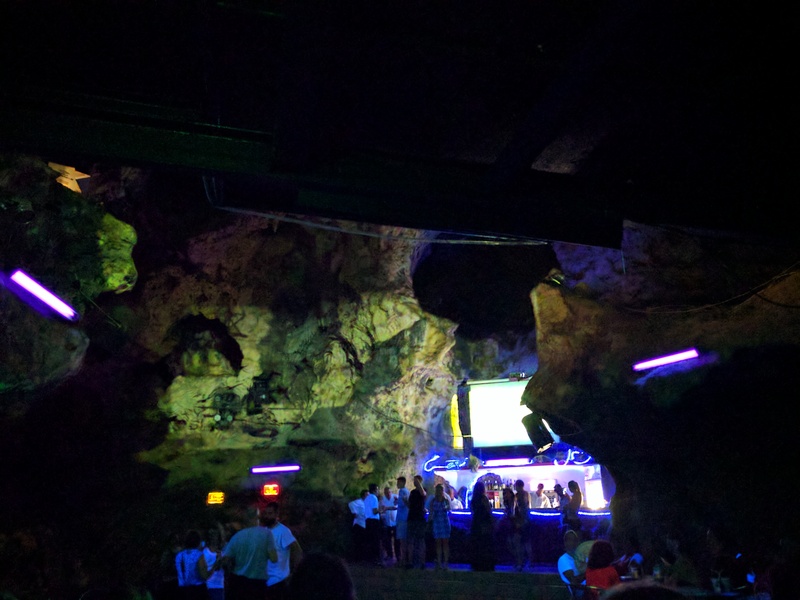 It was decided we would go to the Disco Ayala – a club inside a cave. 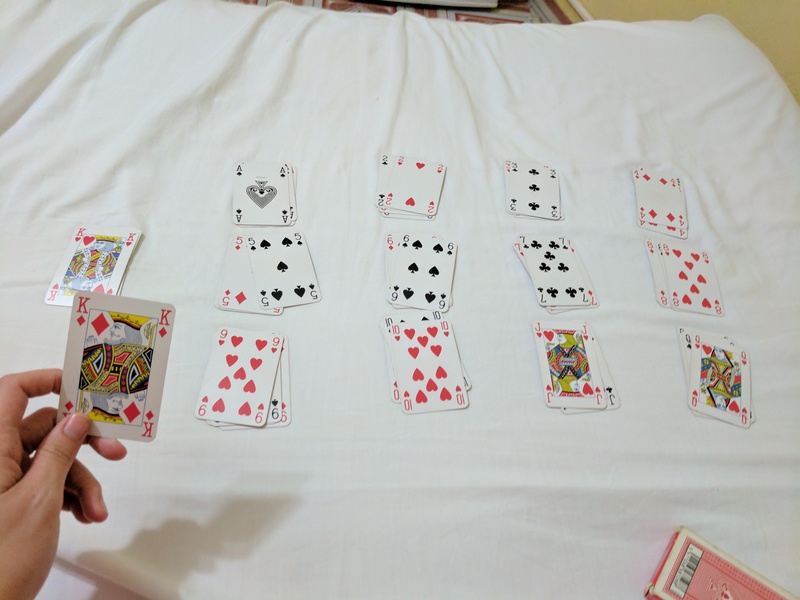 I passed some time waiting to go with cards and music….I actually managed to win for a change! At 10:30pm we headed up the long hill to the cave. When we got there, there were lots of other tourists milling to go in. As per normal Cuban rules, we were let in late! Inside it was really cool, it had been decked out with television screens, speakers, lights etc, the whole works. 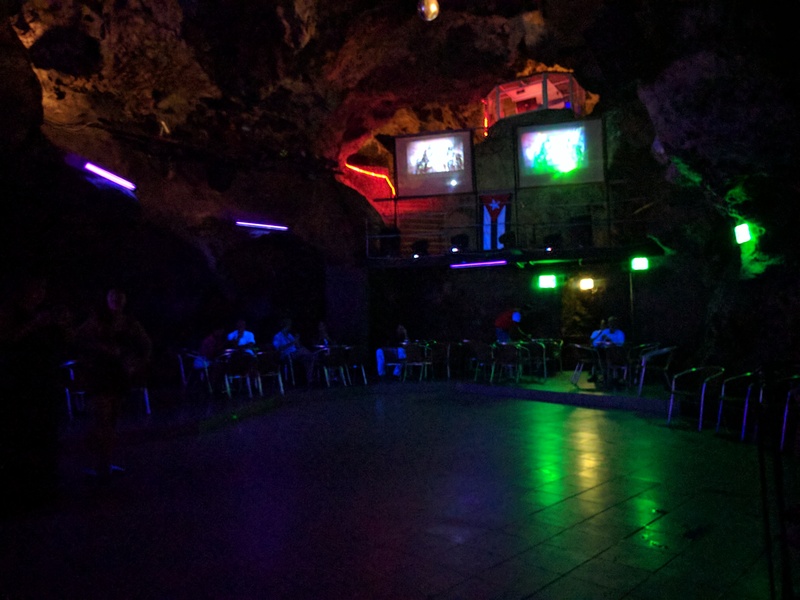 There was a free drink on entry, I went for a Cuba libre but instantly regretted in when the bartender filled the cup with rum and a dash of tukola. I took one sip and left the rest. Sadly, before long I was starting to feel unwell. I don’t know whether it was the combination of the cigarette smoke, humidity, flashing lights or just having felt ill all day, but I couldn’t stay inside the cave. Outside I felt much better so I headed back to the casa leaving the others to enjoy the night. I don’t feel too upset. The cave itself was really awesome, but there was not a single local person there. I felt like I could have been at home in a London club – I can do that any time, so no sleep lost over missing out tonight!